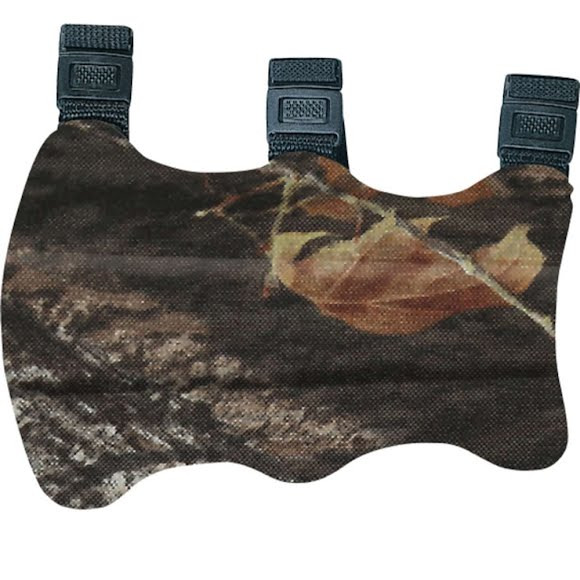 Keep your clothing out of the way and protect your shooting arm with the 7" Three-Strap Armguard from The Allen Co. With rugged construction and comfortable materials, this armguard will be a great addition to your gear. The three elastic straps adjust and release quickly with one hand, helping the armguard conform to the shape of your arm. Keep your clothing out of the way and protect your shooting arm with the 7" Three-Strap Armguard from The Allen Co . With rugged construction and comfortable materials, this armguard will be a great addition to your gear. The three elastic straps adjust and release quickly with one hand, helping the armguard conform to the shape of your arm. Measurements 6.5" x 8.65" x 1.3"
Height (IN) 5'7"-5'9" 5'8"-5'10" 5'9"-5'11" 5'10"-6' 5'11"-6'1" 6'-6'2" 6'-6'3"
Chest (IN) 36.5"-37.5" 37.5"-39" 39"-41" 41"-43.5" 43.5"-46" 46"-48.5" 48.5"-51"
Waist (IN) 28.5"-29.5" 29.5"-31" 31"-33" 33"-35" 35"-37" 37"-39" 39"-44"